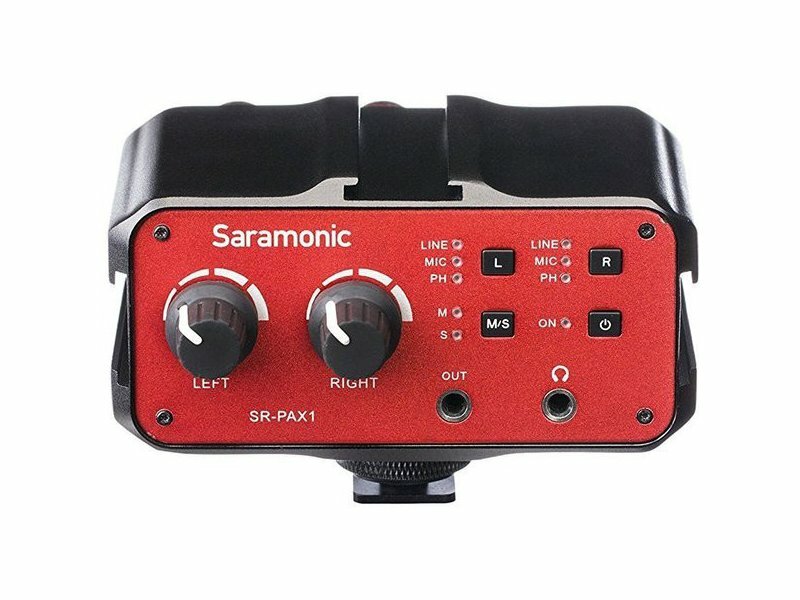 The Saramonic SR-PAX1 enables you to connect multiple professional microphones and other audio signals to DSLR, mirrorless, cinema and video cameras in order to record broadcast-quality sound. 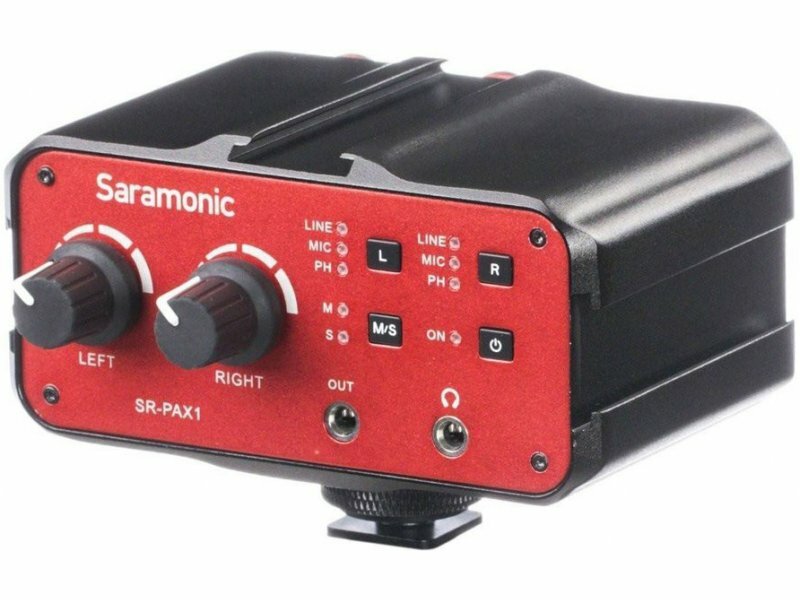 It’s proof that you can get a professional piece of equipment at an affordable price. 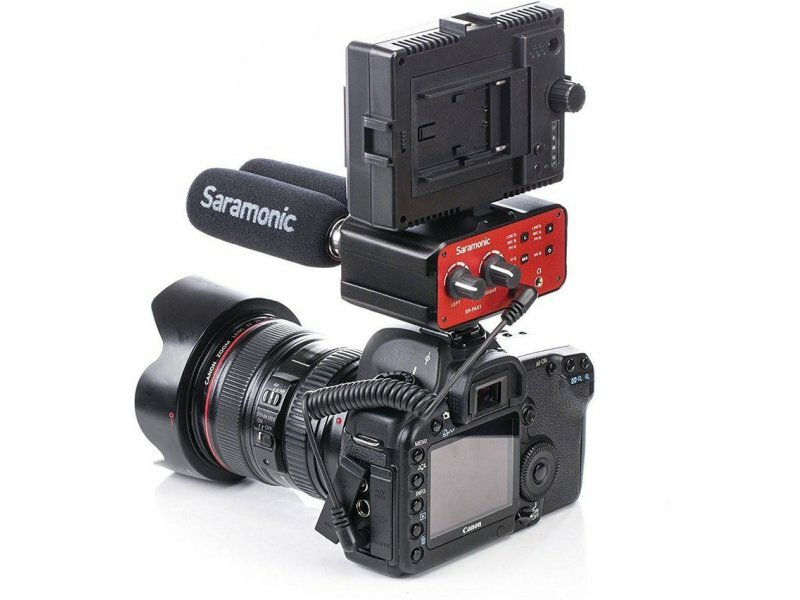 The solidly constructed and compact PAX1 offers ultimate flexibility both in what you can plug into it, and how you can attach it to your camera. 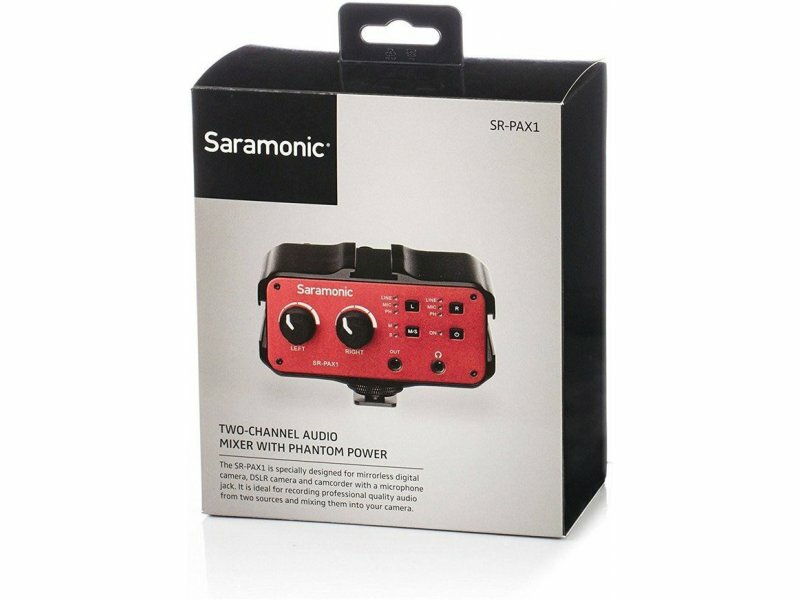 The ability to provide 48 volts of phantom power gives you the creative freedom to use any kind of microphone. The front of the PAX1 provides an all-important headphone jack so you can always hear your sound, and a set of buttons that enable you to easily cycle through various functions. Bright LEDs make it easy to see what settings you currently have selected. The back provides an impressive range of connection options. 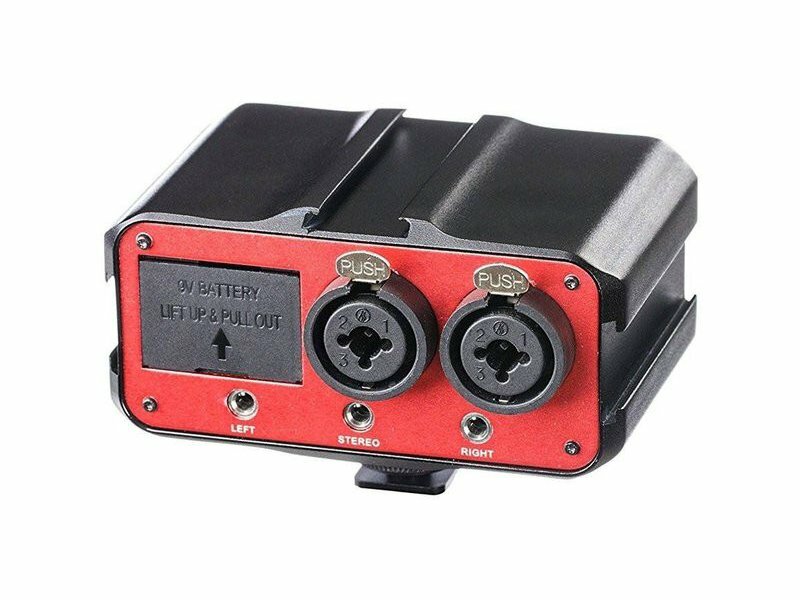 There are two locking combo XLR / 1/4” (6.5mm) TRS inputs, which is where you can plug in professional microphones, line-level signals, and even guitars and other musical instruments. 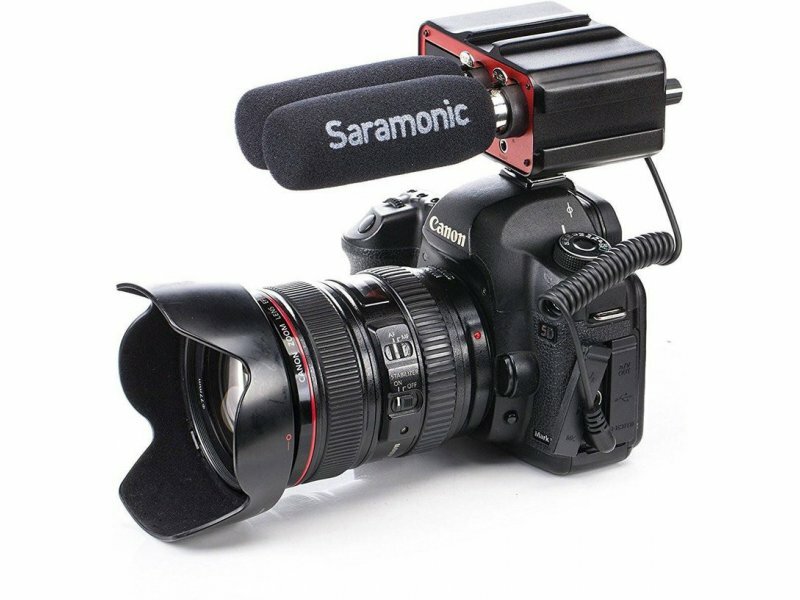 There are also three 1/8“ (3.5mm) inputs for connecting video microphones, stereo mics, and other sound sources — such as the headphone jack of a smartphone. 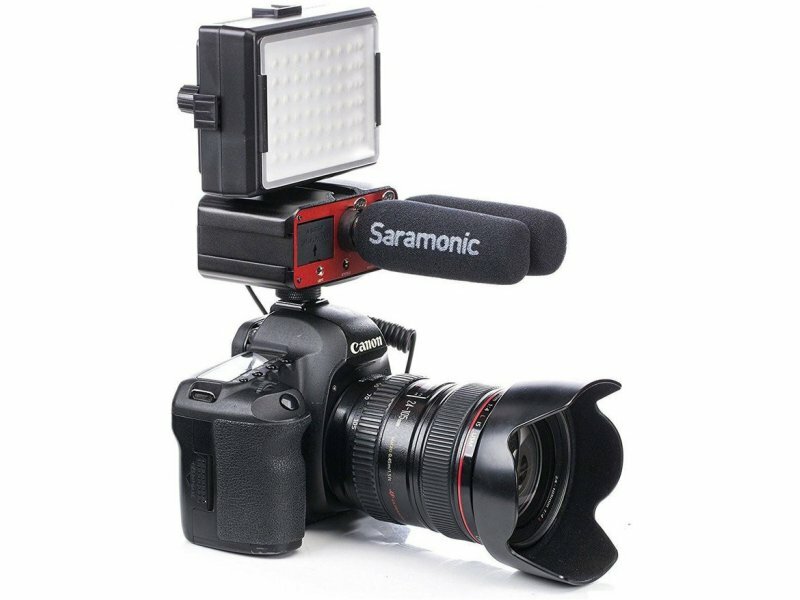 The PAX1 also acts as a useful bracket for your camera with its deep shoe mounts on the top and sides, providing ideal places to confidently mount microphones, wireless receivers, lights and more. 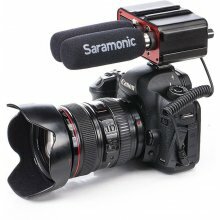 A metal shoe mount on the bottom enables you to attach it to your camera, and a tripod thread is supplied to mount to a cage or tripod. While the PAX1 provides great utility, it sports an attractive design and its all-metal construction means it’s prepared for the rigors of production.